Do you want to know a little more about your local beautiful green space? Fancy letting the children play a few fun outdoor games this Saturday? 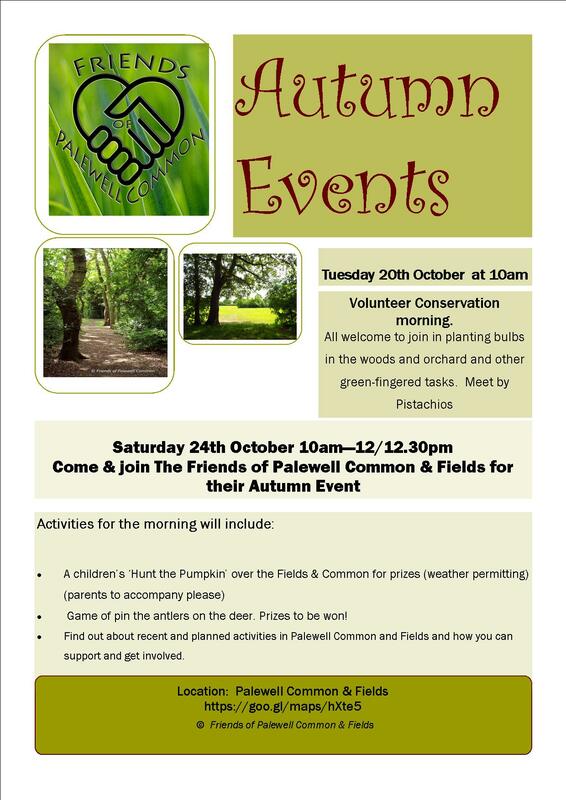 If yes, come down to Palewell Common & Fields this Saturday for ‘The Friends’ Autumn Event. Previous Post Thursday 10th September, 2015 – Volunteers needed, join Froglife at our new pond! Next Post Tuesday 17th November 2015 – join Nature’s Gym at Palewell Common for a green fingered event!